AAMCO is one of the most forward-looking brands in the $67 billion auto repair industry. Widely known as the worldwide leader in transmission repair, AAMCO is leveraging technology, ongoing training and education, and overwhelming brand recognition to dominate the future of automotive repair. The industry shift toward technologically enhanced vehicles already is here, as is the emergence of hybrid and electric vehicles, and AAMCO is the only brand capable of winning a sizable share of the complex car repair business that the cars of today and tomorrow will generate. While AAMCO is investing significantly to prepare for the future, it also is investing significantly today to make our top-rated, time-tested business model easier to own and more profitable than ever. And it’s working, because our existing franchise owners are reinvesting in AAMCO in record numbers — opening their second, third or fourth centers. The industry agrees: In 2018, Entrepreneur magazine named AAMCO as the top franchise opportunity in our category for the third consecutive year. 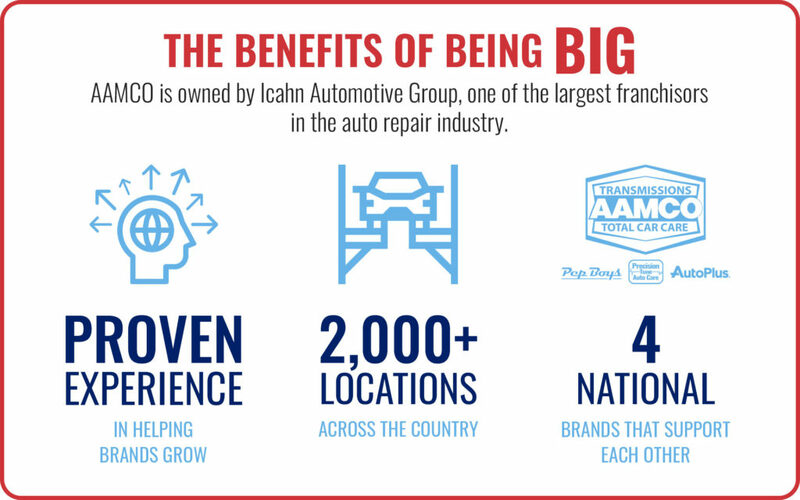 As part of the Icahn Automotive Group, one of the largest franchisors in the auto repair industry with four brands and more than 2,000 locations across the country, AAMCO franchise owners reap enormous benefits. Brands in the network, such as Pep Boys and Precision Auto Tuning, specialize in different aspects of auto care, and therefore are able to refer complex car repair work to AAMCO franchise owners. Icahn Automotive Group also has tremendous buying power, which helps to keep inventory costs low for AAMCO franchise owners on an ongoing basis. What does it cost to own an AAMCO franchise? The total investment necessary to purchase an AAMCO ranges from $240,325 to $346,700. Click the learn more button below to research ownership of an AAMCO franchise or fill out the form on this page to download our franchise information report. As cars become more like computers on wheels, consumers know that they need a specialist to fix them. AAMCO is the only brand in the industry with the expertise, technology, and trust to fix the cars of today and tomorrow. 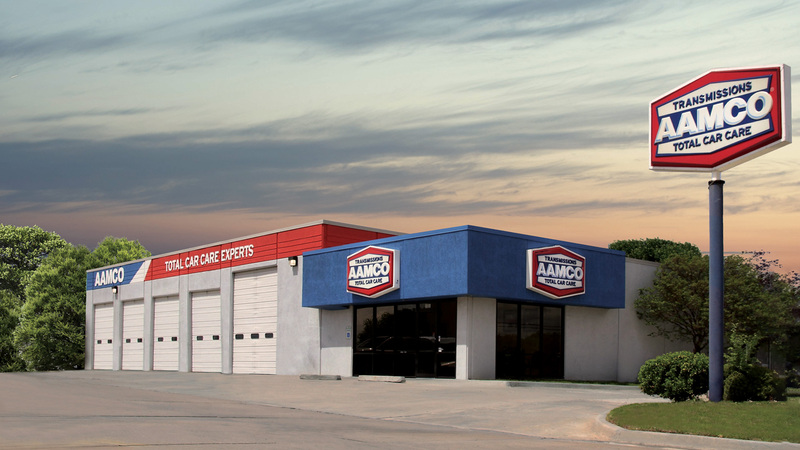 As AAMCO becomes the leader in complex car repair, AAMCO franchise owners are capitalizing on the growing demand for auto repair specialists. AAMCO is a business that has the potential to bring both personal and financial rewards. Owning an AAMCO franchise has never been easier. In recent years, AAMCO has made significant investments in training and technology to help entrepreneurs without any experience thrive in their businesses. 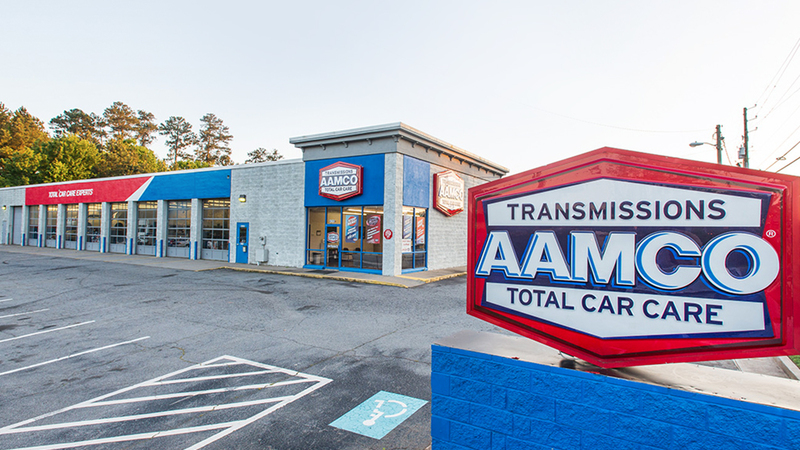 AAMCO has spent the last half-century establishing itself as the leader in transmission repair. 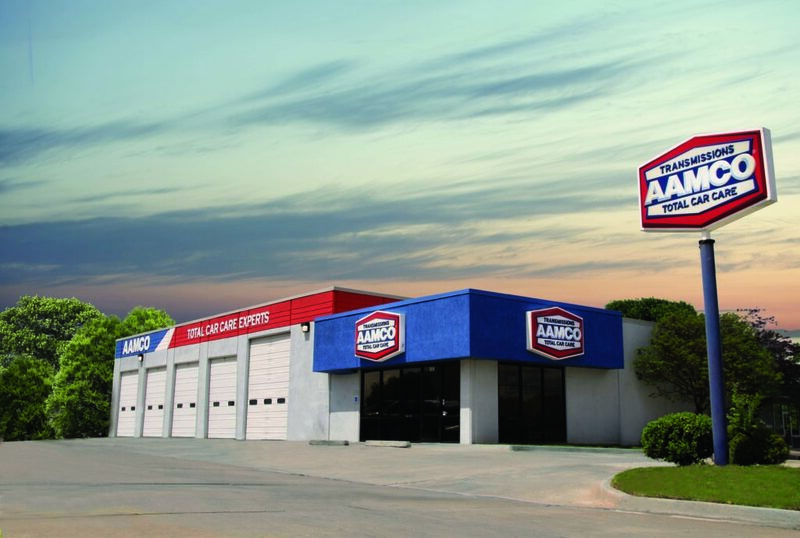 AAMCO franchisees benefit from the brand's exceptional reputation the minute they open their doors. 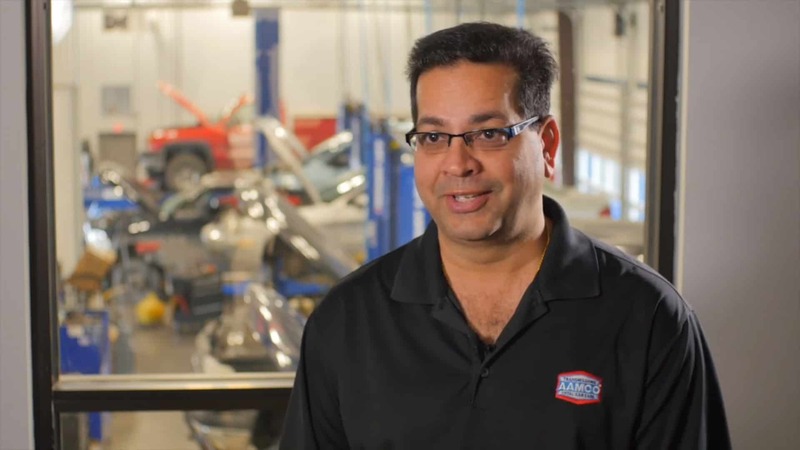 Explore what life inside an AAMCO Center is really like by listening to our franchise owners open up about their businesses, the AAMCO brand, their hopes for the future and much, much more.